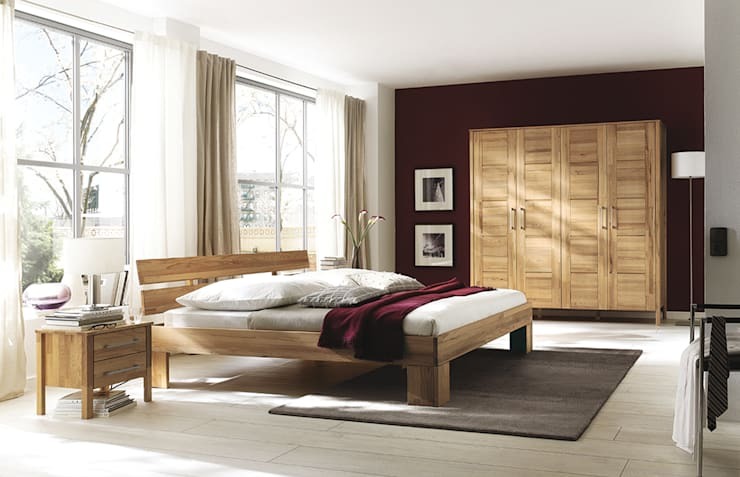 When it comes to the bedroom, there are two vital factors: the bed and the closet. For the bed, it is all about finding the right balance of style and comfort to make up a space that ensures a good night’s sleep. But when it comes to the closet, things are a bit different, as there are numerous factors to take into consideration – and this is before we come to choosing a design or style. Picking out the right closet for your bedroom is an important decision, considering that it is one of the most used pieces of furniture you will have. Hence, your choice of closet needs to measure up to quite a few criteria, like being functional and matching up with your personal sense of style. But whether you think an armoire is the best option for your bedroom, or that a chest of drawers is more than adequate, be sure to consider all of the important factors – and what luck, because here they are! How much space is in your bedroom? No closet (whether it’s a gigantic wardrobe model or a simple three-drawer piece) will be worth much if it can’t fit into your room. Therefore, measure the space where you intend to place it. This will help you choose a model that perfectly fits into the chosen space. 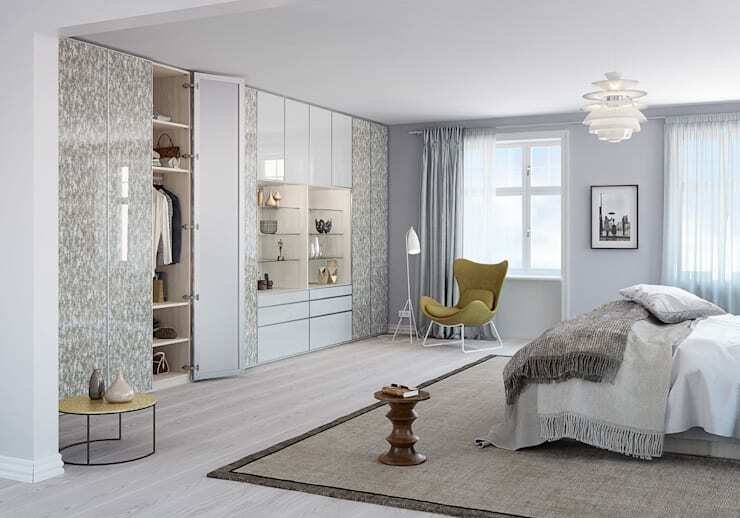 A closet that fits like a glove is certain to enhance the aesthetic appeal of your bedroom, so carefully consider your desired model as well as your available space. A corner armoire can be the ideal option to fill up an empty corner! homify hint: If available, read reviews on any closet you are considering buying. Customer reviews are especially valuable if you want to know how that particular closet, armoire or chest of drawers you are eyeing will perform in the real world. How big of a closet do you really need? Are you a shoe lover? Is your idea of a perfect weekend shopping for yet another pair of high heels? If so, you will need space to keep all of those beauties (heaven forbid they’re stacked on top of each other because of your lack of closet space). Or does your sense of fashion require more hanging space than anything else? Contrary to jeans and tops, items like jackets, suits, and cocktail dresses should not be folded and stacked neatly inside cubby holes, which will definitely impact your choice of closet. Consider your requirements (and your shopping addiction). If you need something more than a few drawers, an armoire might be ideal. Bedroom armoires come in a variety of shapes and styles, some with large amounts of closet space ideal for hanging clothes and storing shoes. There are even jewellery armoires made especially for storing jewellery! Just like there are numerous styles when it comes to interior decor, so can furniture be grouped into different categories – and your closet is no exception. This can make the grouping together of furniture quite a challenge, especially if you want to mix and match different materials and colours, yet still want the same style reflected in all the details. But don’t let all those different styles leave you puzzled – match your closet to your bedroom furniture, and it’ll blend in like a dream. Chances are that your closet will be in your room for a number of years, or else it can shift over to the guest bedroom once you acquire a new one. But even then you should still ensure that you are happy with its look and design. Nothing can ruin a good mood like waking up one morning and suddenly realising that your closet does not match the rest of your bedroom at all! Almost any material can serve for the purpose of making a closet, yet wood seems to be the favourite. Wood is generally available in two main types: natural and industrial. Industrial wood is easy to work with, presents a wide range of colours, and is generally quite pocket friendly. The price of natural wood is a bit steeper, but this choice is usually more durable than the industrial type. 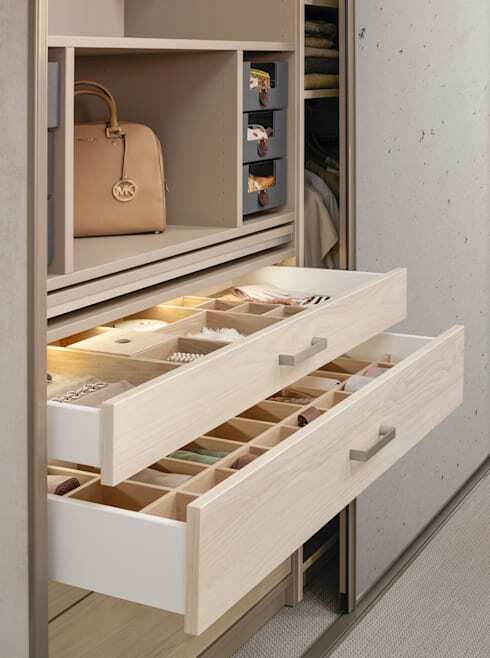 Other types of materials used for closets include laminate and acrylic. Like the materials, their prices also vary, leaving you with a lot of choices to consider. In contrast to the fundamental furniture in your bedroom, your closet is the one type that has more animated meanings. Hence, selecting the colour is extremely important. As a general guideline, make sure that your closet colour matches up (or contrasts skilfully) with the colour scheme of your entire bedroom. The location of your closet and the amount of available space in your room will determine the best type of door for your closet. But what exactly are the options? Traditional hinged swinging door. Lots of reach-in closets feature a simple hinged swinging door (or double doors). This option allows you to mount hooks, pockets or racks to its back, increasing storage capacity. The only downside is you can’t have anything in front of that outward swinging door, creating a slight problem for traffic flow. Sliding doors. Traffic flow is no problem here, but only permitting access to one side of your closet at a time can be. Bi-fold doors. Installed to fold back to one or both sides, these doors only take up half as much floor space as a swinging door. But as they use twice the amount of moving parts as sliding doors, they provide twice the opportunity for binding or falling off the tracks. Regardless of which one you opt for, ensure that your choice gives you easy access to your closet contents, and also reflects the look of your home / bedroom. 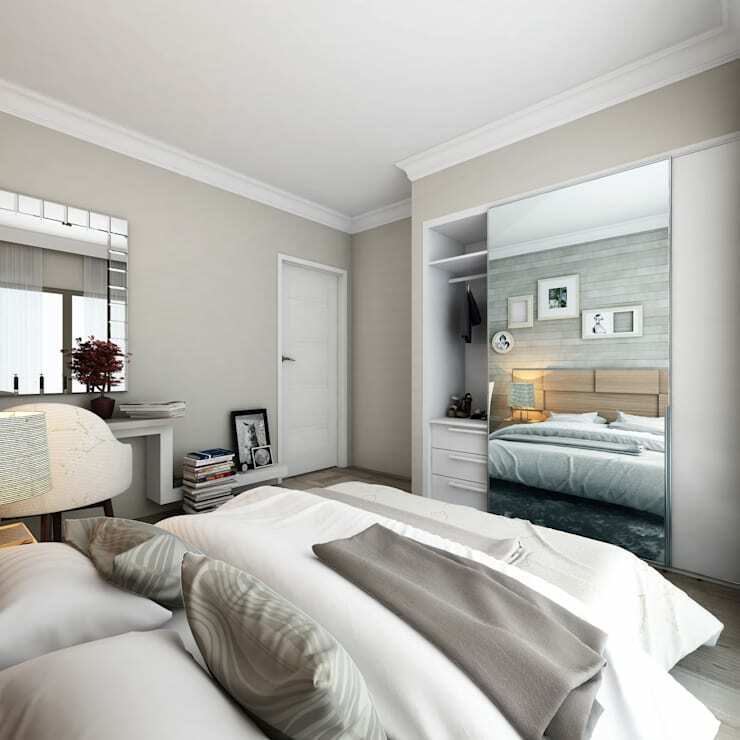 homify hint: Consider mirrored doors for your closet if you want your room to look a bit more spacious and open. If you prefer your bedroom to look clean and simple, you can opt for a compact design which hides everything inside. Just make sure it provides the ideal compartmentalisation for your unique contents. 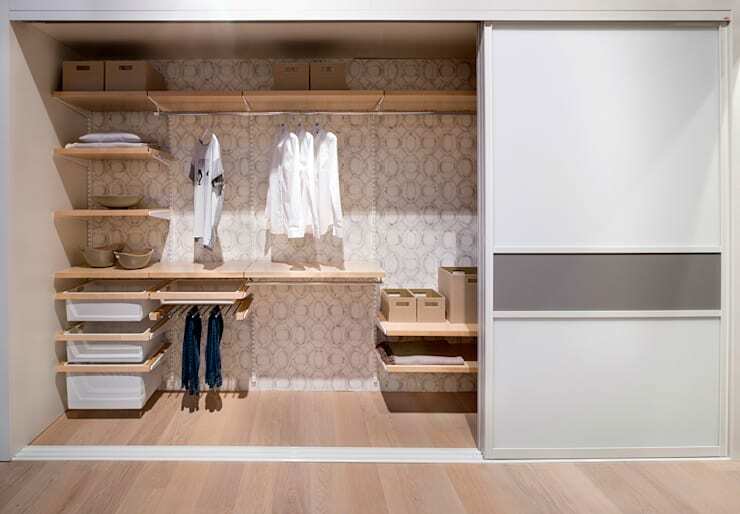 Just as no two bedrooms are alike, the same way no two closets will house exactly the same clothing and accessories. You should include a large space for hangers, a few shelves for folded up clothes, drawers for small items and accessories, and perhaps even a few secret compartments. All these compartments can remain hidden behind large sliding doors or panels. This way the design remains minimalist and you can use the opportunity to play with colours and shapes when decorating the rest of the room. Can’t decide on your bedroom furniture? Why not leave it up to the stars? See: The best bedroom according to your star sign. What does your bedroom closet look like? Would you change anything about it? Share with us in the comments section below.